Our house is an old Buenos Aires "casona" it was build in the 30's. 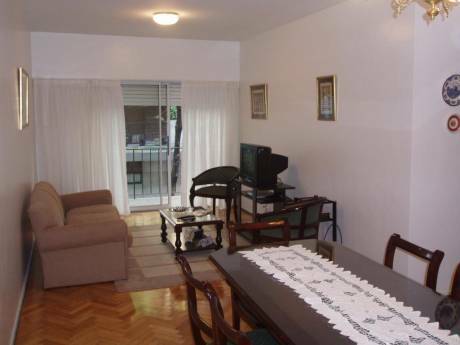 It is located on a quiet residential neighborhood 5 minutes walking from buses and 10 from the subway and train. It is only 20 minutes to downtown and 10 minutes to Palermo (a cheap taxi fare if you prefer taxis). 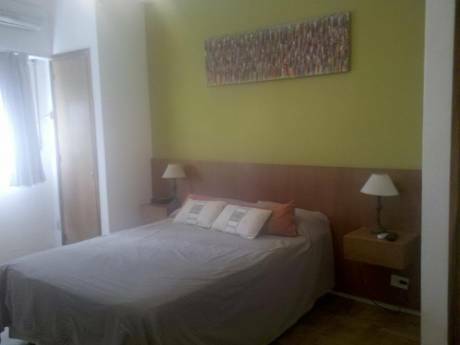 It is a beautiful 100 square meters house very comfortable, quiet and sunny with 2 bedrooms, 1 studio and 2 bathrooms. The kitchen and the living room are integrated in one big and very comfortable space. We refurbished the house last year and we moved in last October. We also have a little patio at the front. The bedroom has a double bed and a very spacious closet. The kitchen is small but lovely and it is brand new. We also have a laundry next to the kitchen. The living room has cable tv, dvd player, stereo, high speed internet, iPod speakers. We have a maid that clean the house twice a week, so if you like cleaning service is available. Although the house has space for 3 people we do prefer to exchange with two people. We are a professional couple in our mid 30's. I'm a graphic designer and my boyfriend is an industrial engineer. We both enjoy arts, travel and sports. We are non smoking. This is our first exchange and we want to try this way of visiting and enjoying a new city. We are very respectful, we will take care of your place as we take care of our. 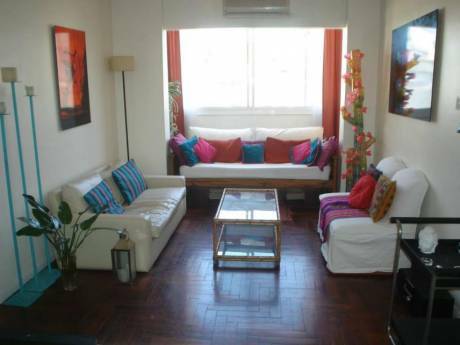 We would like to facilitate a great stay in Buenos Aires, a lovely city. Ideally located as a touring base, our town offers easy access to downtown, Palermo, Belgrano, Tigre, etc. We love this part of the city because it is near to the places that everyone want to visit but it preserve the feeling and the atmosphere of a typical Buenos Aires neighborhood what make you feel that you are living the city as a city resident not as a tourist.